Lots of stuff removed from the Final Fantasy Versus XIII days. News on the next last fantasy. Wada Asks Fans to “Wait a Little Longer” for News on Versus, Possible Title Change? We better see this game at TGS. Does it really even exist? 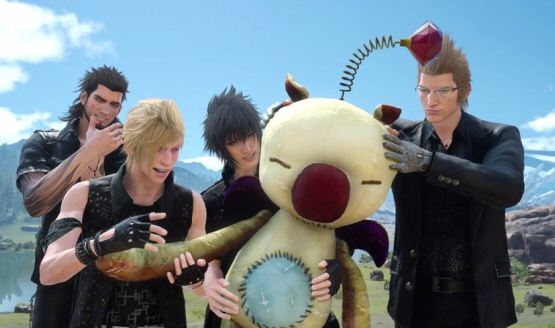 Final Fantasy Versus XIII will not be making an appearance at TGS this year. While Square Enix did finally reveal a gameplay trailer and are starting to provide more information on the game, don’t get your hopes up for a 2011 release. While there has been scant information about Final Fantasy Versus XIII over the last…many many years, the handful have trailers have been our only glimpse into the mysterious game. What’s one more going to hurt?